Every successful business in today’s day and age has a division that is largely technology based. No matter what product you sell, you likely have a sales or marketing team that attempts to reach out to customers through the internet. That’s why IT support for business is absolutely essential. Something will definitely go wrong at some point, that’s just the nature of technology. Nothing is perfect. 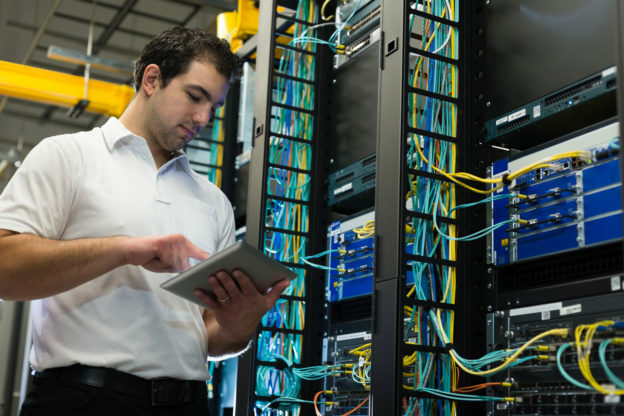 Do you have the expertise to make substantial repairs to your network if something goes haywire? Even if you do, you are busy running your business. Hiring a third-party IT support team will help take some of the weight off your shoulders. Cybersecurity is a major issue in the business world today. It is likely that you are vulnerable to financial attacks, no matter how big or small your business is. A crack IT team will be able to install safeguards against such attacks, especially viruses. These safeguards can potentially save your business. IT professionals are trained to implement security measures that you may not be familiar with. There are many other ways that your company could be vulnerable. Don’t wait until it’s too late to protect yourself. Businesses typically have thousands of files stored on their computers. Managing these files can be an impossible chore, especially if you are not a computer expert. IT professionals can help you organize all of your essential data so you know exactly where to find it when you need it. They can also manage your customers’ data, such as client profiles and payment information. Every successful company needs a sophisticated database of information to survive. Otherwise, you might get lost among the competition. An IT team has the knowledge to help your business run more efficiently, leaving you more time to worry about making money and staying profitable. Depending on your product, you may get a barrage of calls from customers who need technical help. Without the knowledge, it will be impossible to solve their problems quickly. IT professionals deal with customers every day. They understand how to translate their vast technical knowledge into layman’s terms, and they do so elegantly. Your business rises or falls based on whether or not your customers are happy. An IT team can provide you with customer assistance around the clock, ensuring that they are satisfied with your products or services. The reality is that an IT team brings years of experience to your business that you may not be able to provide on your own. IT support for business is more important than ever, as valuable information becomes digitized and electronic transactions become more ubiquitous. They serve to make sure the technological side of your business is running smoothly so you can focus on everything else. Please contact us for more information on how an IT team can help your business.